Will you change my golf swing? No. I will enable you to understand the importance of a strong set-up route in relation to your golf swing and desired ball flight. I might make only one or two golf swing corrections, or I might make many changes – much of it depends upon your goals. What is your basis philosophy on teaching golf? Bill’s personal golf teaching philosophy is to take the strengths of each person’sgolf swing and mold them into a repeating and natural motion. Bill believes that there is no such thing as “The Swing”. But there is a “BEST” swing that will work for each individual. By developing the golf fundamentals, each student will find their best golf swing. This swing will produce consistent ball flight. What age can I start my child with golf lessons? That really depends on the child, and his/her attention span. Some children can take up the game as early as age 4 or 5, but in most cases, even the most interested child is not ready until he is at least 7 years old. Our First Tee of Plainfield program is a wonderful way to get juniors started in the game. The cost is very reasonable and the junior will learn both golf and lifetime skills. If you think you young child might be ready earlier, we can always set up an introductory 50-min golf lesson and I can give you an honest evaluation. If my child is already in high school, is it still possible for him/her to get a golf scholarship? Yes, but your child must be willing to make a large commitment to the game. To college this might mean spending as much as 3-4 hrs a day – between taking golf lessons, practicing, weight-training, proper nutrition. The earlier a child commits to this schedule – the better- but the child AND parents must understand what is involved. Before we begin, I sit down with the child and his/ her parents and discuss what is necessary to achieve this goal and see if everyone is prepared for the commitment. I strongly recommend that those students looking to play college golf should have a good amount of tournament experience during his/her high school years. Each child is different so the earlier we discuss this option, the better. How do you feel about club fitting?I am a huge believer in proper golf equipment. A golfer, of any playing ability must have the right golf equipment to play properly. Golf is not a game that is best played with “hand-me-down” clubs. Proper does not necessarily mean expensive. Do I need to spend a fortune on golf clubs? No. As long as you have the right golf clubs, you do not need to spend $500 on a good driver. It just needs to be the right clubs, not the most expensive ones. I work with a wide arrange of golf club companies and will place you into the right clubs, at a budget you are looking to spend. 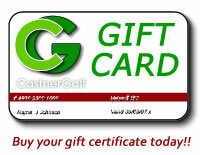 How can I purchase a gift certificate for golf lessons with you? There are two ways – either with the purchase of a “CastnerGolf Gift Certificate” from this website or call the Pro Shop at Plainfield West 9 and they can give you a certificate for lessons with me. If I am planning a “Golf Event” and have no idea where to start, whom do I contact? There are many ways to go when planning a “Golf Event.” It really depends if it is a corporate outing, a fundraiser, or an employee incentive. One of the main things you need to start with is how many people will be participating, and your budget. After you have these items in place, email or ring 917-208-5197 and we can discuss your outing further. Do you recommend private golf lessons or group golf lessons for beginners? This again depends on the individual. Some people are better learners in a group situation and others prefer the one-on-one lessons. At most, the ratio of my group lessons is 4:1. Unfortunately since my days get pretty busy during the season I am not always able to teach all of the group lessons. Before booking your group lesson at the Pro Shop, make sure that I am the instructor for that group. Do you offer playing lessons for your students? Definitely. This is a terrific way to work with a student, especially after they have taken one or two series of lessons. From the on-course golf lesson, we can then tweak their game and see what areas we still need to concentrate on. Once you feel ready to go on the course, we can discuss this option. 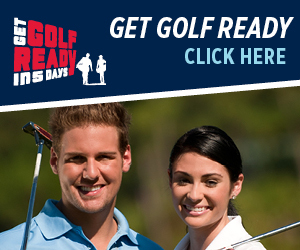 Will I learn enough information if I attend the GET GOLF READY at Plainfield West 9? For many people, this is the perfect way to ease into the game. By learning in a group setting, you also get introduced to other golfers, who are probably at your same level. I must caution that you should not think that you will learn the entire game in six one-hour lessons. Golf is a game that requires a good amount of skill and practice. I highly recommend this for my beginner students or those looking to hone their skills over the winter or early spring. Do you have any further questions that are not covered within this list? Then please feel free to contact us.